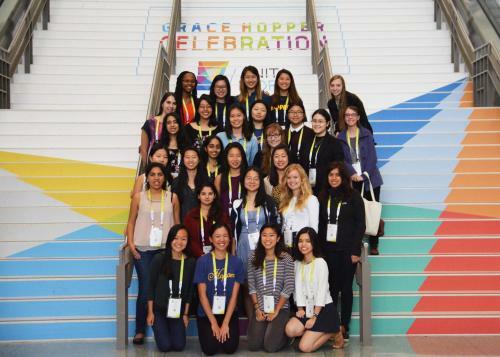 This year once again Yale sent a group of students to the Grace Hopper Celebration of Women in Computing. There were more than 30 Yale students attending – 24 sponsored by Yale and additional attendees sponsored by outside companies and organizations. Held since 1994, the 2018 edition of the conference was capped at 18,000 attendees. About one third were students, the rest computer professionals. The conference includes technical sessions on a wide range of technical topics from advanced computer science research to practical problems in the software industry. Career guidance sessions were also offered for people interested in topics such as advancing in industry, attending graduate school and entrepreneurship.